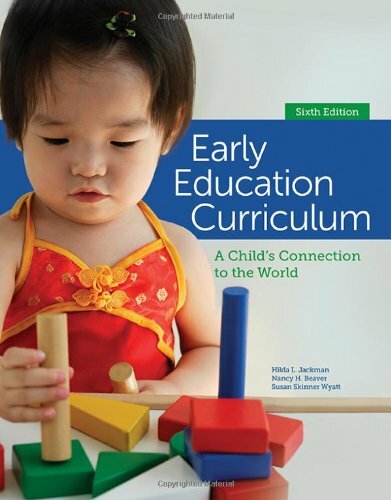 The sixth edition of EARLY EDUCATION CURRICULUM: A CHILD’S CONNECTION TO THE WORLD focuses on the process of planning and implementing a curriculum, and setting up an inclusive child-centered environment. This book helps users learn to make informed decisions about curriculum content as well as to develop creative thinking and the ability to effectively apply theory to an early childhood classroom setting. Updated to include the most current research and standards, the sixth edition presents new material on brain research that underlies teaching ideas as well as new information on reflective practice, intentional teaching, and using the environment as a teaching tool. The book retains its strong applied focus on the how-to’s of teaching, with many new hands-on teaching tips and six new chapters on topics such as observation and assessment, fine motor and manipulatives, and large motor and outdoor play.